Having a well design and easy to navigate website can do wonders for any business. It’s impossible to have a business thrive in today’s world with an effective website and online presence. SEO focuses on growing an organization’s visibility in search engine results. The goal is to make sure that your website reaches the people looking for what it offers. Social Media is a crucial part of your marketing strategy and should not be overlooked. With fine tuned social media marketing strategy you can boost your visibility and ensure that you have a continuous dialogue with your customers. We will help you build your business’s online presence using modern, responsive web designs and SEO best practices. 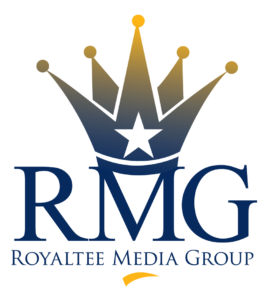 I would highly recommend Royaltee Media Group. I am extremely happy with the website that they designed for us. It turned out nice and our visitors to the website have gave it high praise. I contacted Royaltee Media Group about designing a website for my barber shop. They were able to come up with a design that fit my vision and functionality. I would highly recommend. We’re here to help you create your new website, make improvements to your existing website, or just advise you on the right direction for your company’s future online presence.